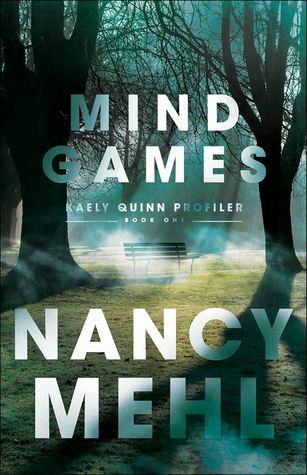 Mind Games (2018) by Nancy Mehl is the first book in her Kaely Quinn Profiler series. This book comes in all forms including eBook, and is 336 pages in length. With a full-time job and a very busy six-year old at home, this novel took me two days to read. This book was provided to me by the publisher — Bethany House — for review. In no way has this influenced my opinion of the book. All opinions expressed in this review are my own. I give this novel 5+++++ STARS. Mind Games is a Contemporary Christian Romantic Suspense novel. Oh. My. Word, I am blown away by Mind Games. This novel is insanely good. Hands down, one of the most engaging books I have ever read. I am a HUGE crime drama fan. I will watch any cop/lawyer show because I love trying to solve the crime before the answers are revealed. Mind Games kept me guessing the ENTIRE time. Even when I was confident I knew who the killer was, I still felt a niggling in the back of my mind causing me to doubt my choice. And, quite a few times I was left shocked. My husband would hear my gasps and scream out, “Don’t tell me anything. I want to read it for myself!” I mean if that doesn’t scream “GREAT STORY,” I don’t know what does. Kaely Quinn is my new favorite sleuth. She is SO intelligent and driven that she gives Sherlock Holmes a run for his money. But, she is also severely damaged from her childhood, and this plays a huge role in her being a profiler for the FBI. What I found so incredibly well done is how Nancy Mehl addresses spiritual warfare through the guise of FBI profiling. Spiritual warfare is real. For some, it is a daily battle. If a person has even the smallest bit of trauma in his/her past, and they believe in God wholeheartedly, he/she is a walking target for spiritual warfare. I was once taught by my pastor that the stronger people are in their faith the more attacked they will be. As a teenager, this scared me until I was reminded that the Holy Spirit lives inside me. If the Holy Spirit lives inside me NOTHING bad can come inside. We cannot be servants to two masters. If the Holy Spirit is in you, the devil can’t win. What I adored the most about cool Kaely Quinn is not that she is intelligent, strong, or fierce. It’s that she knows in her weakness she is strong because she calls on the Name of the Lord. She prays to her Father in Heaven and knows He is by her side. Kaely shows the reader that no matter the darkness we may find ourselves in — and it doesn’t get darker on this earth than being on the hunt for a serial killer out to get you — as long as we turn to Jesus the darkness will never defeat us. The Name of Yeshua is infinity-times more powerful than anything the devil can throw at us. In this day and age where darkness seems to be lurking around every corner, this tremendously hopeful message was exactly the reminder I needed. Mind Games by Nancy Mehl is without a doubt a #MustRead for 2018. 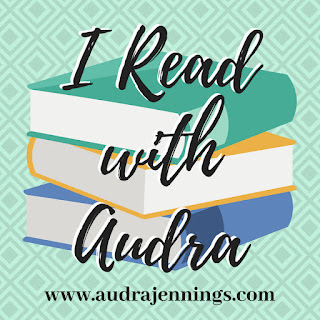 I loved every minute of this story, and I am so sad that my time with Kaely and Noah is over … for now. I very much look forward to book 2 in this series. If you are looking for a highly engaging, edge-of-your-seat, heart-pounding read then I HIGHLY recommend this book. Awesome review!! I can’t wait to read this book. Thank you so much for the compliment! I hope you can get to this book asap. It’s so good!!! Great review…great book! I can’t wait for the next one! Thank you! I’m excited for the next one, too! Wonderful review!! Sounds like quite the gripping story!! I tell ya the more I read on your page the more I wish we lived closer to each other b/c we have so much in common we’d have a blast together!